After graduating from Catholic University, Peter Dahlen went on to study law, also at CUA. Out of law school he practiced immigration law and worked as a litigator, before going into politics and public policy, working on then Senator Joseph R. Biden, Jr.’s 1996 re-election campaign and subsequently on his Senate Judiciary Committee staff, where his portfolio included intellectual property, criminal law, privacy, election and campaign finance law, Internet crime and security, and critical infrastructure protection. His career took an unexpected turn when he met his wife and moved with her back to her native Sweden, where he has lived for the past 15 years. He began his career in Sweden as the general counsel for an Internet start-up, and later joined a group of expat American and British lawyers at a company called TransLegal. Peter has continued to work with public policy as an advocate with American Citizens Abroad on issues impacting the more than 7 million Americans working and living abroad. He also lectures at the Stockholm University Law Faculty on U.S. law and public policy. 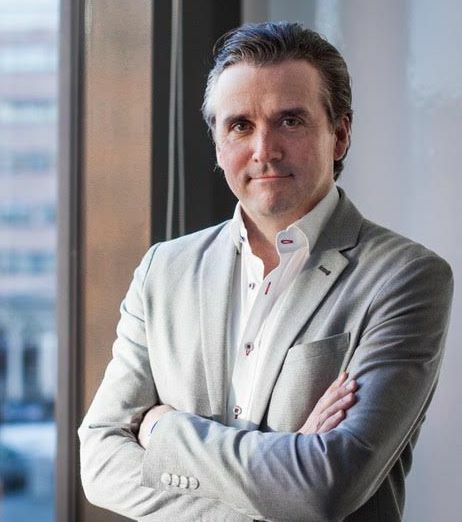 For the past two years, Peter has been the Managing Director of the American Chamber of Commerce in Sweden (AmCham Sweden), whose overarching mission is to promote U.S.- Swedish trade and investment and U.S. commercial interests in Sweden. AmCham Sweden is the voice of American business in Sweden, and promotes policies and programs that support the Swedish-American business community. Its focus is on competition and innovation, governance, sustainability, workforce and intellectual property issues, as well as promoting the proposed Transatlantic Trade and Investment Partnership agreement (“T-TIP”). Peter and AmCham Sweden work closely with the United States Embassy in Sweden, the Foreign Commercial Service, and the U.S. Chamber of Commerce as well as American Chambers of Commerce throughout Europe and all over the world.